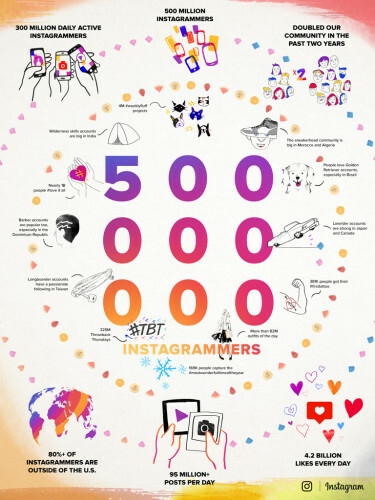 Today Instagram released its updated monthly active user figure- according to the platform, there are 500 million Instagrammers who share (on average) 95 million photos and videos per day. Australian mobile game studio Halfbrick Studios, the reason for your addiction to Fruit Ninja, chatted with B&T about its marketing strategy on Instagram and why it’s all done in-house. Halfbrick launched Fruit Ninja into the market back in 2011, the game had very little instructions and took advantage of the touch screen interface of mobile phones. Fruit Ninja catapulted Halfbrick Studios from a small indie studio in Brisbane to a global company with market interest in the US, Europe and emerging mobile regions like South America and Russia. Nicholas Cornelius, chief marketing officer at Halfbrick Studios, joined the company in July 2015. Cornelius discussed the company’s marketing strategy on Instagram: “The way we market right now is fairly targeted, we make sure we’re sending the right message to the right person at the right time. Age, demographic, even geographic considerations all come into play. The mobile gaming space is so huge now, so we have to be very careful and targeted about how we send out our messaging. Instagram is brilliant at the visual storytelling, so we could take a lot of stuff which was taken for the games and put that straight out as marketing without having to put any extra effort into it. “Our work is done in-house, so we have our artists and video guys all in-house, we don’t use agencies. There is talent in agencies, but the thing is they’re working on multiple accounts, multiple companies, multiple campaigns at any given time. There is a lag in terms of an idea coming up to it becoming a visual asset onto a platform. For the first half of the year, Halfbrick Studios marketing strategy was to become more involved in relevant conversations on social media. Remember Drake’s tune Hotline Bling? Within a day, Halfbrick Studios had Fruit Ninjafied the famous clip.